Used by Marshall in his studio. 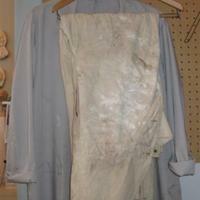 Gray lab coat and cream colored apron. Lot of plaster residu on the apron.